OMAHA, NE.- The Bemis Center for Contemporary Arts announced the launch of Michael Jones McKeans The Rainbow: Certain Principles of Light and Shapes Between Forms. The Rainbow will create simple, but phenomenal visual events  rainbows in the sky. 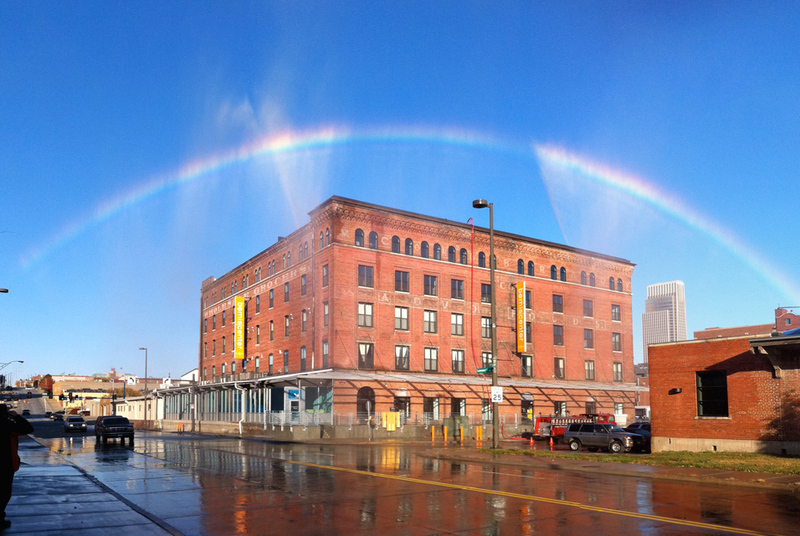 Twice per day with clear sun, for 20 minutes each, a rainbow will appear above the Bemis Centers roof in downtown Omaha. The rainbows will be created using sunlight, renewable energy and 100% captured rainwater. The Rainbow is curated by Hesse McGraw, Bemis Center chief curator. For more information on the project or for print resolution images, please contact Logan Seacrest, Bemis Center Communications Manager at logan@bemiscenter.org A complete press packet is attached. Further information is available at www.TheRainbow.org and at the Bemis Center website. The IVAM reflects on the ways of life in large cities with the exhibition "Total City"